Today I will be sharing with you part two of my Meal Planning Made Easier series. 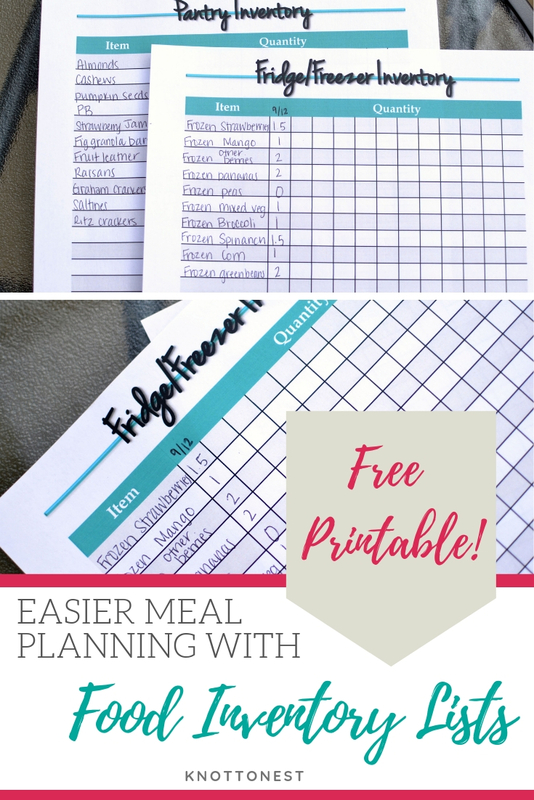 If you are new, WELCOME, and feel free to read part one and snag a free copy of my Weekly Meal Planner here. We’ve all been there…standing in an aisle at the grocery store racking our brains trying to remember what else we need from the store. There is likely a screaming toddler wanting a snack or a preschooler knocking things off the shelf. Stress and overwhelm builds as you will every molecule of your existence to remember WHAT. THE. HECK. DID. I. NEED?!?! In a huff, you get say F-it and get your circus through the checkout and home. It isn’t two minutes after you come through the front door that you remember what you needed. Cue the stress sweats and steam out the ears. Mom brain is a real thing. 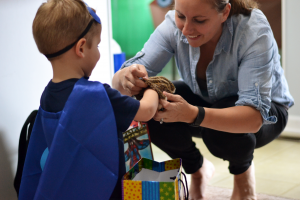 Moms are often overwhelmed, exhausted, and managing a million plus things at any point in the day. So it comes at no surprise that things sometimes fall through the cracks. 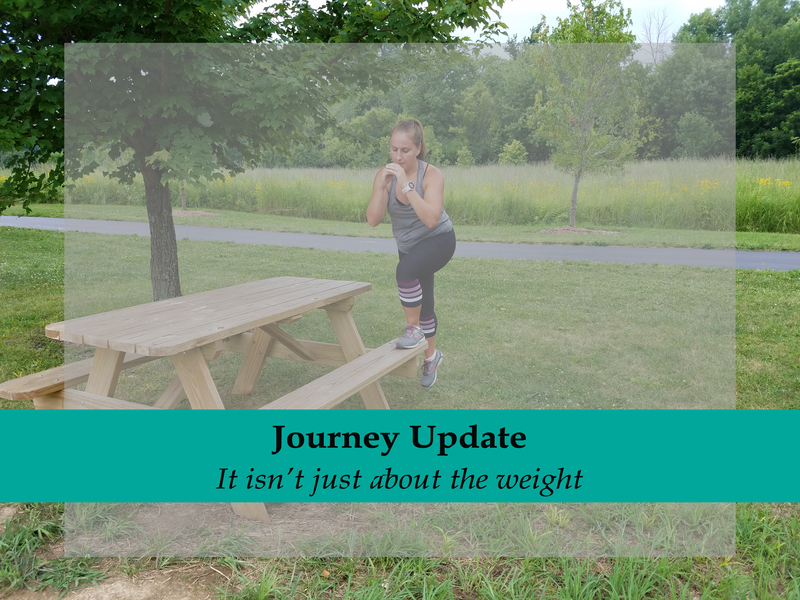 One area that I used to struggle with was efficiently and affordably completing our shopping trips (hello buying yet another bottle of ketchup). 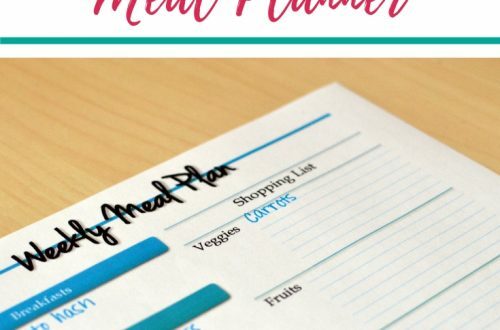 I would try to come up with a meal plan on the fly and best guess at what we had at home and what we needed. More often than not I was wrong and forgot something and would have to venture back out the store another day. After one too many frustrated shopping days, I said enough was enough and decided to change things up a bit. I am an athletic trainer by education and as any good athletic trainer can attest to, having a well-done inventory is the only way you can make your supplies stretch. It has been years since I have been on the sidelines, but my appreciation of a good inventory list still holds true and so I decided to implement a bit of that into our home. 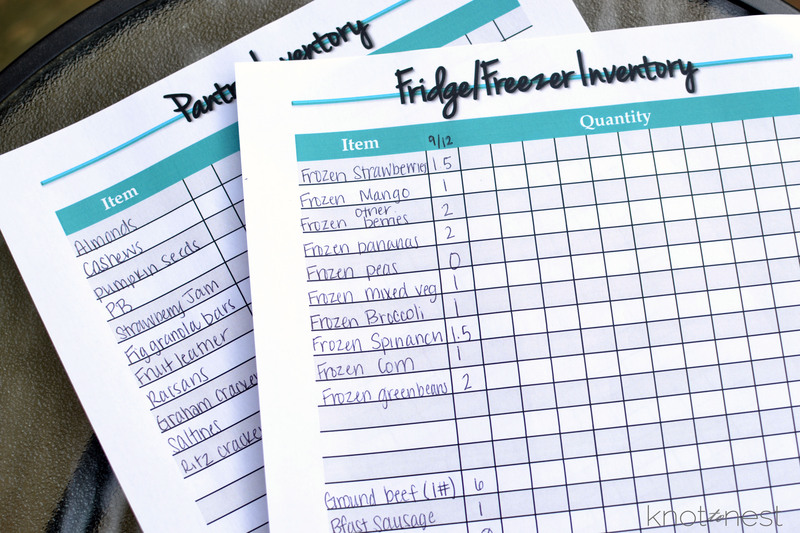 To keep track of what we had on hand I created simple inventory sheets for the fridge/freezer and the pantry goods. 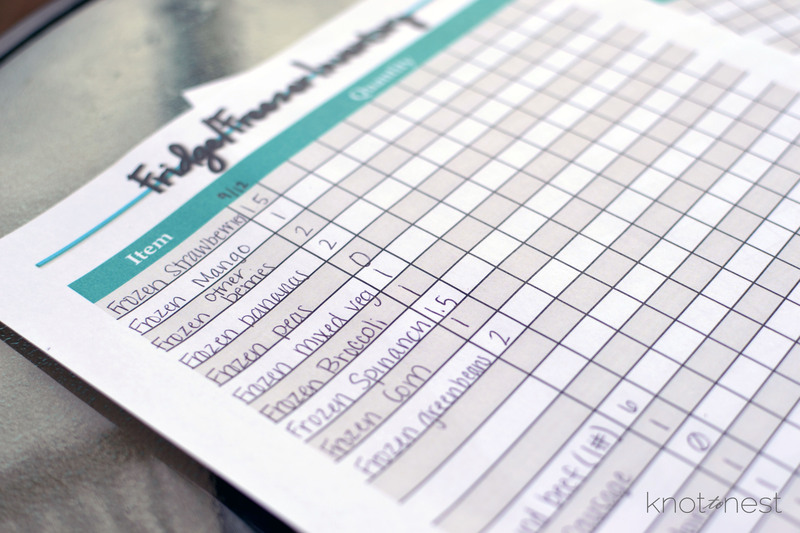 These sheets are a tool to help you quickly see what you have on hand and what you may need to get from the store. To begin, go through your fridge, freezer, and pantry. Throw out the outdated, the freezer burnt, and the inedible. Next, write out each item and how much you have of each. In order to make the tool the most effective, I recommend referencing them each time you make your shopping list. 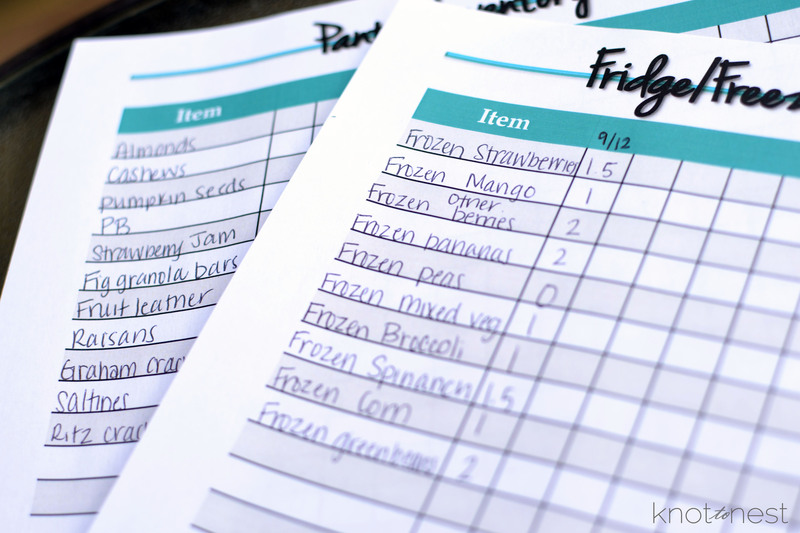 When you are preparing your meal plan, look at your list and see what you already have on hand to make into a meal. These sheets are best used when they are kept in a readily available place. I personally keep mine in my household binder. 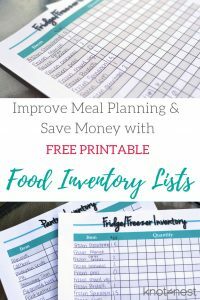 I can access them quickly when it is time to make our meal plan and shopping list for the week. By using what you have on hand, you can save time and money. 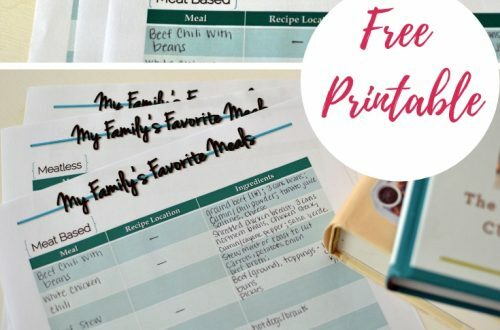 These sheet allow for a waste-free form of meal planning. By knowing what you have on hand you can ensure nothing goes to waste at the back of the pantry. 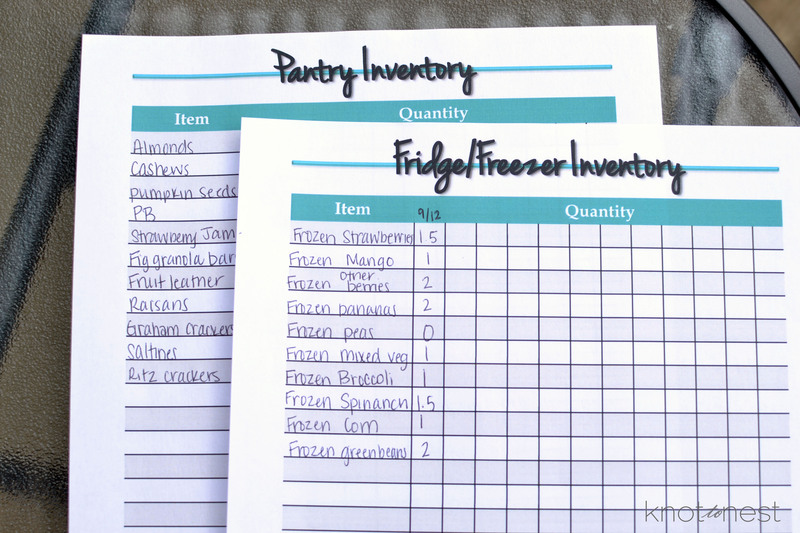 Updating the inventory is important, but it doesn’t mean you have to spend hours each week combing through the pantry. Each week, either while you prepare your meal plan or after you arrive home from shopping, take a few minutes to update what you have in the fridge, freezer, and pantry. Before long you will find yourself having only what you need in your pantry and fridge/freezer. You may also notice the added benefit of money savings as food waste is decreased and unnecessary purchases aren’t being made. 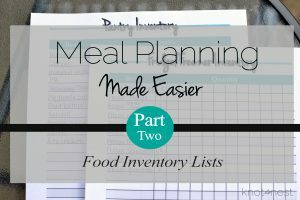 If you are looking for further tips on how to make meal planning easier, read parts ONE and THREE of this series.